Immense love for acting drove Matthew Gray Gubler to earn a degree majored in acting and film directing. Being an art lover, his education from school days to University revolved around art i.e. acting and filmmaking. His handsome looks and awesome body made him rank 46th on the list of top 50 male models of the world by models.com. He has acted in movies such as The Life Aquatic with Steve Zissou, (500) Days of Summer, Life After Beth, Suburban Gothic, Newness, and as the voice of Simon in Alvin and the Chipmunks and its three sequels. He is an American Emmy award-winning actor, filmmaker, fashion model, voice actor, artist, and director. He is playing the character of Dr. Spencer Reid on the internationally popular and award-winning crime drama series Criminals(2005-present) on CBS for the past eleven years. He has directed 11 episodes of the show. Before acting he had modeled for well-known fashion establishments Calvin Klein, American Eagle, Tommy Hilfiger, Marc Jacobs, etc to name a few. Matthew is a Las Vegas, Nevada native born on 9th March 1980 as a son of a rancher and political consultant Marilyn (mother) and an attorney, John Gubler(father). He is the grandson of Laura and Maxwell Kelch who are the founders of Las Vegas’s first radio station Keno. 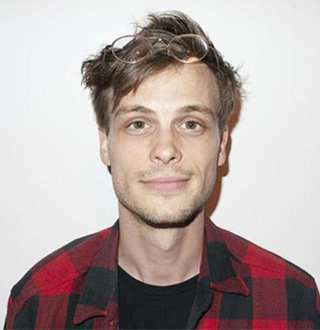 He has a brother Gray Gubler who appeared in the music video Reagan by Whirlwind Heat which was directed by Matthew. He also had a sister called Laura Dahl who is a fashion designer based in New York City. He is a high school graduate of the Las Vegas Academy of International Studies, Visual and Performing Arts, where he majored in acting, and a graduate of New York University's Tisch School of the Arts, where he majored in film directing. His first break in acting was from the role of Intern Nico in the movie The Life Aquatic with Steve Zissou. He was interning with Wes Anderson, who encouraged him to audition for the role. He is also a certified minister and an awesome painter selling around$10k per painting. Not only movies and TV, but he has also written, directed and appeared in music videos. He, a big fan of magic tricks, performs optical illusions to card tricks to physic based balancing acts. Has Matthew Turned His Girlfriends Into Wife Or Is Actually Gay? 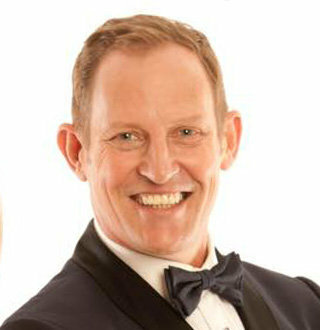 At the age of 38, Matthew loves dating and he has dated a lot of famous celebrities. He dated Kat Dennings, famous American actress back in 2007 splitting in just a few months, but they are still very good friends. Moreover, he was in the news for dating model Charlotte Kemp Muhl around 2004, Cobra Starship keytarist Victoria Asher around 2008, Portuguese actress Marisa Morris around 2009, American model Ali Michael around 2010. Matthew is obviously a great dater and has himself revealed going on a ton of dates, this shows that he is a man of 'gay' disposition. But his sexuality is definitely not gay as he dates females only. As of now, he has not shared anything about his girlfriend or wife but all of his fans are eagerly waiting when and with whom the handsome hunk will settle down and start his family. Paul Reubens Personal Life Heartbreak, Wife & Family; What Happened?